Marge asks her children what they would like for Christmas. Lisa requests a pony. 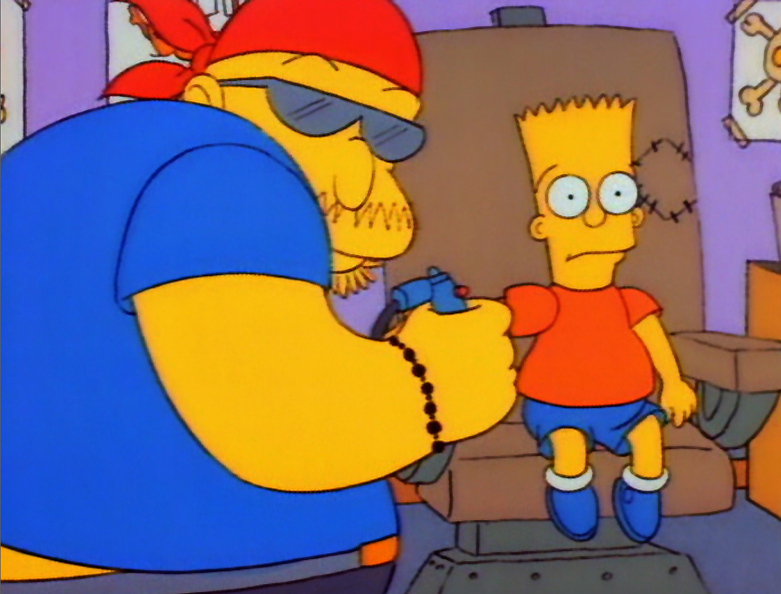 Bart asks for a tattoo. Marge takes them to the mall to buy presents. Bart spies a tattoo parlor and lies about his age to get a "Mother" tattoo. With only "Moth" completed, Marge bursts in and drags him out. She spends the family's Christmas money on removing Bart's tattoo and plans to use Homer's Christmas bonus to buy presents. However, Mr. Burns does not give his employees a bonus. Discovering he has no money for Christmas, Homer gets a job at the mall as a Santa Claus. Bart goes to the mall and harasses Santa, pulling off his beard and exposing his identity. Homer is left without a job and only thirteen dollars. He gets a hot tip from his buddy, Barney Gumble, and takes Bart to the dog track. 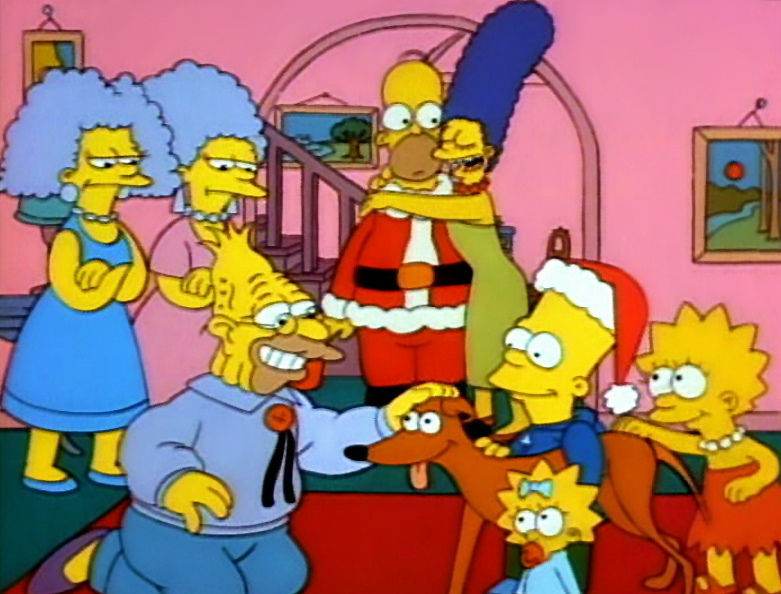 Homer bets on another dog, "Santa's Little Helper," on a hunch instead. Santa's Little Helper finishes last. 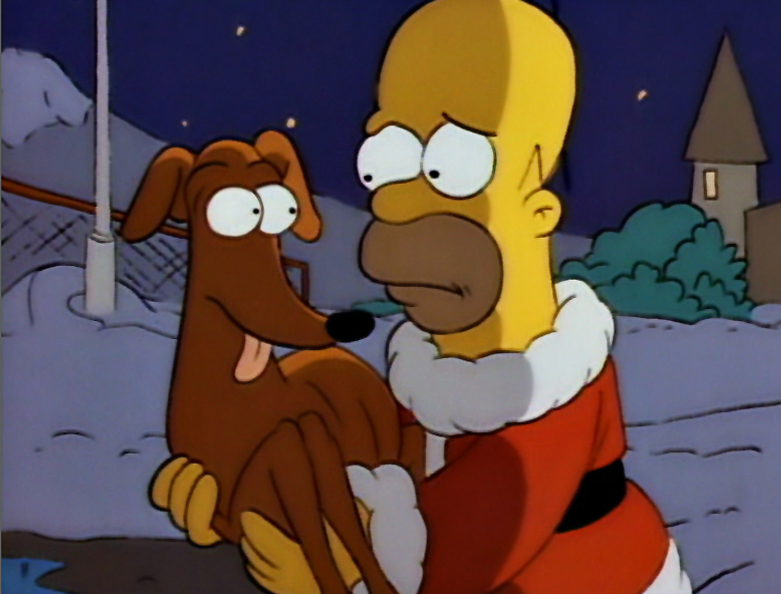 As a dejected Homer and Bart leave the track, Santa's Little Helper gets the boot from his owner for losing another race. 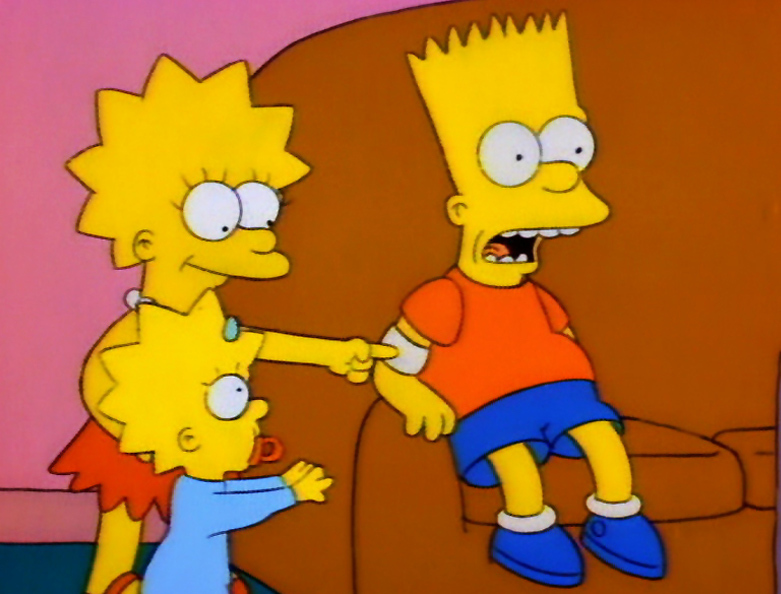 Bart is ecstatic when Homer reluctantly agrees to take the dog home. The pair leave with the mutt, ready to tell the family that there will be no Christmas. However, Marge and Lisa assume Santa's Little Helper is the family present and are overjoyed. There was no chalkboard gag for this episode. There was no couch gag for this episode.